Can you send samples for testing? Good question! 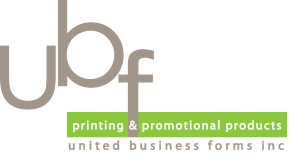 We are a full service printing distributor and offer a wide range of products and services. The relationships we have with manufacturers in all types of printing processes allow us to provide you with just about any type of custom printed product. To see a full listing and description of what we can offer you, check out the Products & Services area in the Customer Service Section of our website. We can accept up to CS5 Version. •Convert all text to outlines. •Support files must be EPS, TIFF or PDF. •Export files as AI, EPS or PDF. •We can accept up to CS5 Version. •InDesing native artwork must be accompanied with all support files includingn fonts and linked images. •Support files must be EPS, TIFF, or PDF. •Export files as IND, EPS or PDF. FOr more file formats accepted look under Resources/Artwork Guidelines. Yes. With many projects, we have samples available for testing.